"Will their long held feelings be revealed?" RaeAnne Thayne takes us back to Haven Point with her story of a suspended FBI agent and an Inn owner. A woman who has a tender heart and will fight to defend her family. He's serious and by the book and hardly shows emotions. She's never wanted the life she's had and his future is up in the air. Together they must solve the mystery of a missing relative. Can their search bring forward the feelings they've had for each other for years? 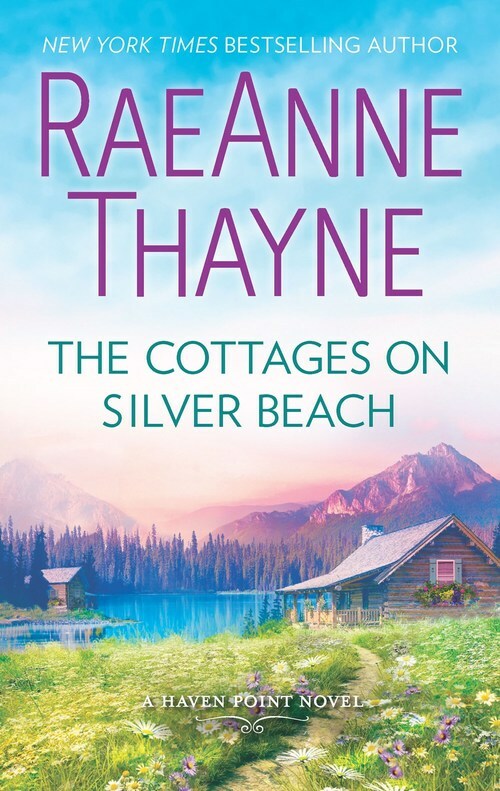 THE COTTAGES ON SILVER BEACH is the eighth book in the Haven Point series by RaeAnne Thayne. She writes an emotional story that tugs on your heartstrings. I recommend her books as she's become over the years a favorite author. If your looking for a sweet, loving and emotional read this is the book for you along with all her other books. I look forward to the next book in the Haven Point series. Megan Hamilton never really liked Elliot Bailey. He turned his back on her family when they needed him the most and it almost tore them all apart. So she�s shocked when Elliot arrives at her family�s inn, needing a place to stay and asking questions that dredge up the past. Megan will rent him a cottage, but that�s where it ends�no matter how gorgeous Elliot has become. Coming back home to Haven Point was the last thing bestselling writer Elliot Bailey thought he�d ever do. But the book he�s writing now is his most personal one yet and it�s drawn him back to the woman he can�t get out of his mind. Seeing Megan again is harder than he expected and it brings up feelings he�d thought were long buried. Could this be his chance to win over his first love?